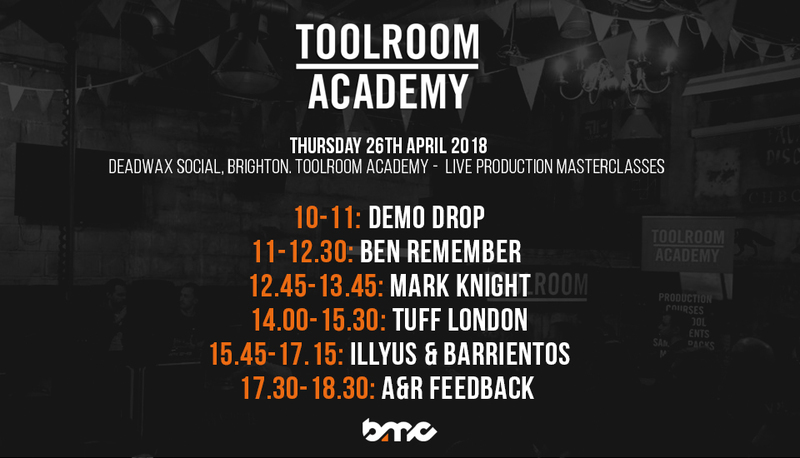 Toolroom’s unique Academy Live events are a great chance to see world-renowned producers in the flesh, and get A&R feedback from team Toolroom. Events so far in Dubai, Brighton, Birmingham, Toronto, Tokyo and Amsterdam have been sold out and resulted in 3 new signings to the label, very limited spaces available. The Last Night a DJ Saved My Life Foundation. Official Charity Partner for BMC19. Registered Charity No 1142478.